Another Newly Mi Redmi Note 4 turned into Ashes which was just a few days old. We still don’t have any clarification what gone wrong in this case? But seeing the Most Trustable and selling brand like Xiaomi in this situation is very hard to digest it. As per the reports, The owner of Newly Redmi Note 4 was carrying it in his pocket from the house to its shop on a bike suddenly he feels something going wrong with his Redmi Note 4 till the time Note 4 already got heated up and was too hot to handle and was impossible to take out from his pocket the onlooker helped the owner and splash water on his pants then only the owner was successful to take out his phone from his pocket. As he throws the Note 4 down the road it’s already been so hot that it catches fire instantly as you can see in the video (below). 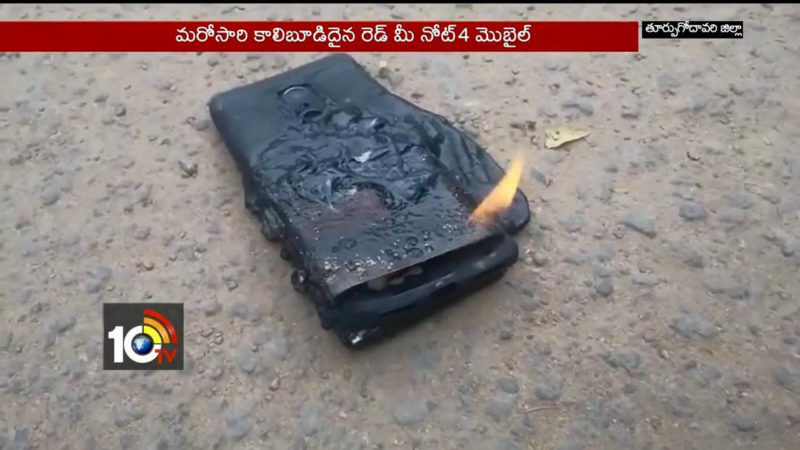 The incident took place in Ravulapalem which is situated in East Godavari. The owner has also got several burns while his Redmi Note 4 was nearly 20 days old, the owner said he will move up to the Court against this and also file the case for the Compensation. It might be the case of owner carrying it rough and tough while plugging others non-rated charger in it but newly Redmi Note 4 turning into the fireball is a serious concern while is still the rare case and can be happened 1 in Million so all you guys there is no need to worry. There are still no words about it from Xiaomi, we hope they all are aware of it and will take the necessary action to retain the trust of their users.